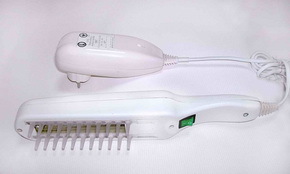 UFIT-B with comb. Analog Dermaligth-80. 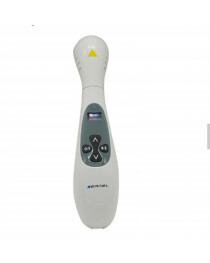 Narroband lamp for vitiligo and psoriasis treatment . 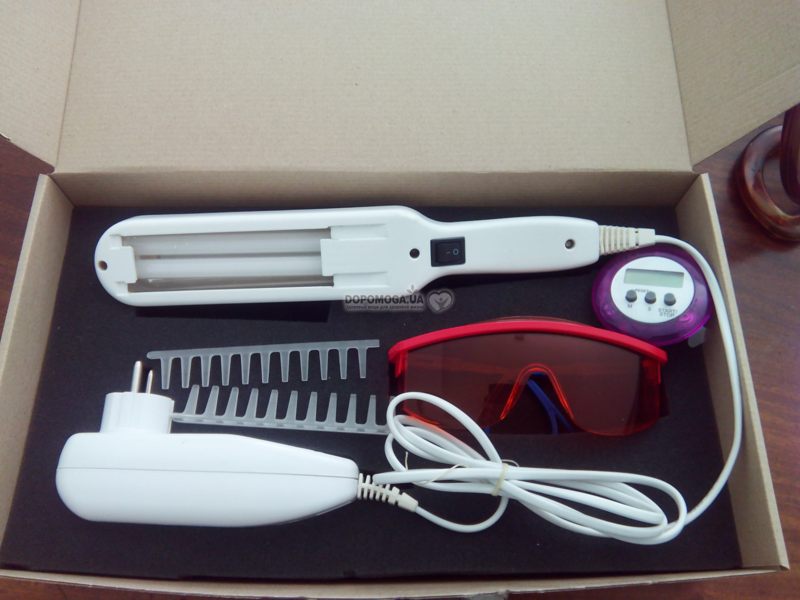 Dermalight 80 is a well designed and beautifully made phototherapy unit for spot treatment of psoriasis, vitiligo and is particularly effective for treating scalp psoriasis. It is very portable and lightweight, and has a wide treatment area for such a small unit. 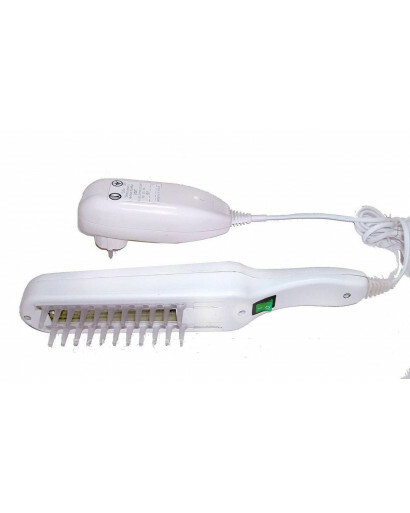 The comb attachment has rounded bristles, which is gentle on the scalp, and delivers the UV light directly through the hair to where it is needed. This removable comb attachment can also be used as a distance guard to treat areas other than the scalp, or used with it removed. For countries with electrical current other than U.S. standard, the device will require a step down transformer. 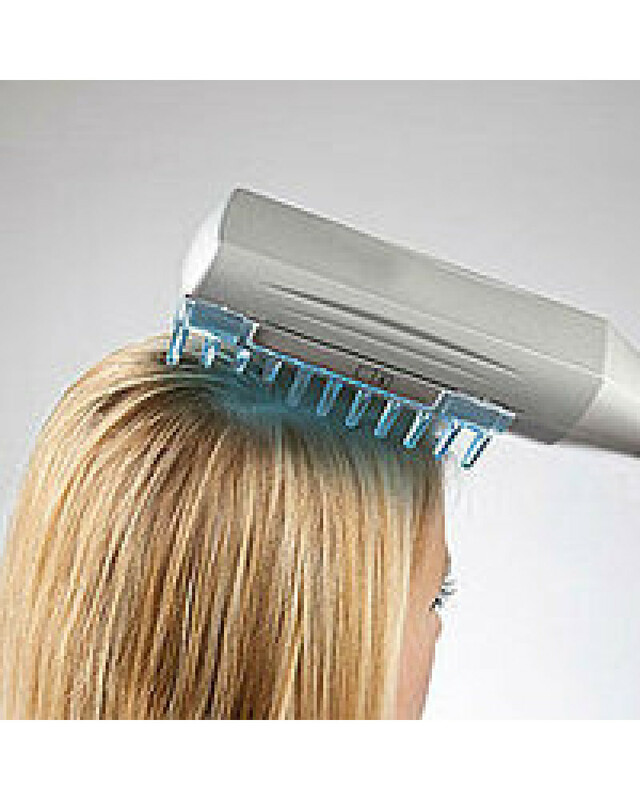 UFIT-B comb for scalp psoriasis treatment. The psoriasis Lamp can be used alone or in combination with other medications applied directly to the skin. 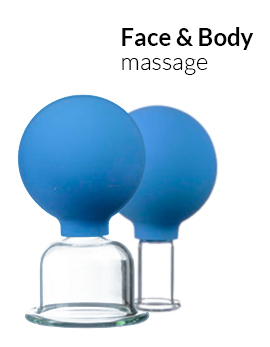 It is very easy and pleasant to use. Effective for spot or scalp Psoriasis treatment! Portable and lightweight - ideal for localized treatment. Low-pressure luminescent single-ended mercurial compact lamp. For medical use only. 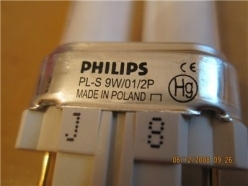 Manufacturer - Philips Lighting Company. Emission type - UV-B NB with high emission about 311-313nm (colour code 01). Reference power 9 watt. Power 8,6 watt. Voltage 60 V. Current strength 0,17A. Service life 8000 hours. Useful life 3000 hours. UV-B emission 100 hours (IEC) 0,95 watt. Bulb is made of quartz glass material that is propagating ultraviolet. Very comfortably in the use. Vitiligo, Psoriasis, Atopic Dermatitis, Circumscribed Alopecia. The application is not recommended when having psoriasis and atopic dermatitis during a strong aggravation, in a stationary stage or in a stage of remission (to remove an aggravation it is necessary to use other methods and the ways of treatment). UV-B-radiation is dangerous for the eyes! It is strictly forbidden to look at a working lamp without special UV protective eyewear such as UV absorbing spectacles! Protect your eyes and the eyes of the people around you! 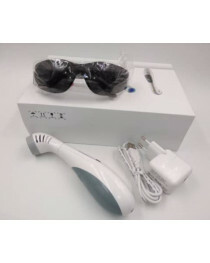 The enhanced UV-B-radiation dozes are capable to cause strong skin burns! During the therapy procedures, it is necessary to strictly respect the distance up to the skin and the exposition time! The exposure time should be supervised by means of the timer! In therapeutic dozes narrow-band UV-B-radiation influences differentially various cells of the skin: has local immunosuppressed value (weaken the activity of immune cells), forces up the reproduction and propagation of melanocytes (pigment cells), leads to norm the proliferation of keratinocytes (the basic cells of epidermis). Due to his effects is able to render positive influence on skin having such pathologies as Vitiligo, Psoriasis, Atopic Dermatitis, Circumscribed Alopecia etc. How could we explain narrow-band UV-B-radiation effect? The matter is that the studies conducted to determine the most effective wavelengths for the treatment of psoriasis and other skin diseases revealed that wavelengths between 305 and 315 nm are responsible for most of the therapeutic effect. The narrow-band ultraviolet (narrow-band UV-B) emission at 311 to 312 nm gets very deep into the skin to the external layers of dermis and with different effect influences different cells of the skin. Regularly using of moderate dozes of narrow-band UV-B emission at 311 to 312 nm is first of all oppressing the cells of the skin that are responsible for heightened local immunity and local inflammatory processes, and activity of other cells (pigmentary cells - melanocytes) is stimulated. What are the basic advantages of NB-UV-B over the long UV-A beams used in PUVA-therapy? it is not required to take photosensitizers - psoralens that are harmful for the body. What are the major advantages of NB-UV-B over the excimer laser with the wavelength of 308 nm? if necessary, there is a possibility to take a whole-body dose in short time (but this relates only to the cabins and the large panels with the 100-watt lamps of 311 nm. The narrow-band ultraviolet B devices mingle high efficiency and safety, make it possible to take the necessary treatment at home selecting the exposure doses individually (by changing the distance to the body and time of exposure). In contrast to the large-sized panels and cabins such as solariums with /01 (311-313nm) the compact devices with lamps of 311nm are quite accessible and affordable for all comers. Age less than 3 years old, I type of skin up to Fitzpatrick, notably fundamental impossibility to bathe in the sun (it is typical of albinos and red-haired white people), serious mental illness, malignant and non-malignant growths, any other type and forms of skin diseases (doctor's advice is indispensable). During pregnancy, only supporting soft phototherapy can be advised. Use of a lamp without glasses - is forbidden! It is dangerous to eyes! I will send you the detailed instruction in English. A technique of use of a lamp for treatment psoriasis, vitiligo and for dermatiris.